* Value for money travel tip – travel in March and November where has secured unbelievable offers and game viewing is great. This is when you can beat the peak season rates and crowds. July to October dry season is the best time to visit Tanzania for wildlife. In July and August due to summer holidays and school vacations the parks and areas like the Ngorongoro Crater in the Northern Circuit can get crowded. But has a hand-picked collection of unique camps and lodges which are away from the crowds to get you an exclusive experience including walking safaris and night drives. The remote, raw and wild Southern Parks of Ruaha & Selous are never crowded and wildlife congregate close to the remaining waterholes during this period making for great photo opportunities. January and February– Calving season in South Serengeti where the Wildebeest give birth to their young. March – between the short rains in November and the long rains in April and immediately after the calving season is a great time for safaris with incredible prices and fantastic game viewing. Excellent time to follow the migration in Serengeti. has secured front row seats to watch the migration. April and May are the wettest months but has low season rates. Some of the mobile camps in the Serengeti are closed from 1stto 15thMay due to heavy rains. November and December – is the start of the ‘short rain season’. But in recent years the short rain has been very light and in some places non-existent. 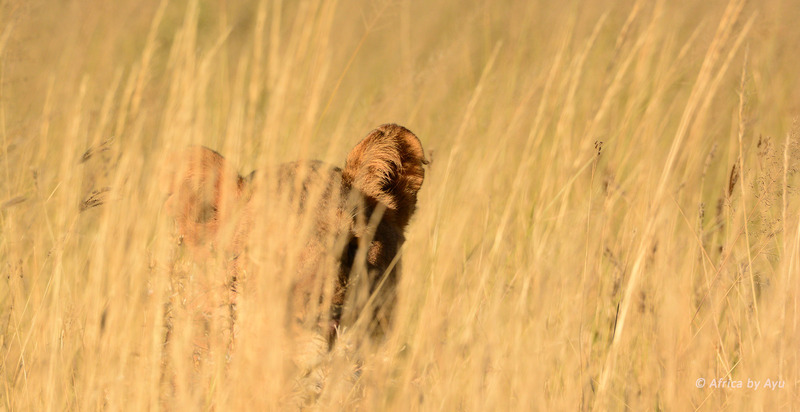 Make use of the low season rates until mid-December for excellent game viewing. Migration Timeline in Serengeti– December to March the herds move towards the Southern Plains of the Serengeti. January & February is the calving seasonin Southern Serengeti, April the herds move towards Central Serengeti, May the herds enter the western corridor, June the wildebeest move from central area, splitting to the west & north, Grumeti River river crossing, July herds head north and large herds head up past Lobo area, August & September Mara river crossings start and some herds enter the Mara but the main herds are still in the northern Serengeti, October large portions of the herds are in the Mara, November with the short rains the herds start to trek to the south again to start the whole cycle! Please note that this is only a guideline as weather patterns are changing and so does migration patterns. Before booking the tour, please enquire as to the location of the migration. The weather in Serengeti can range between a high of 28c during the day to a low of 15c in the night. While in the Ngorongoro/ Karatu area it can reach a high of 22c during the day to a low of 9c in the nights. has only partnered with operators and lodges that carry a valid insurance for their operations and are accredited by the relevant licensing authorities in each African country. *Note – that we do not divulge the names of the tour operators we partner with. Each hotel, lodge or camp included into an itinerary will be selected for the value for money offering it brings to each itinerary, after discussions with our partners in each African destination and careful consideration of all available options for your travel dates. Our team loves to curate Africa holidays and are happy to spend time to share our expertise with those clients who are keenly interested to book our curated itineraries, through us but we are compelled to bring in this policy as some guests attempt to obtain all information and then proceed to book on their own. Names of all hotels, lodges and camps will only be divulged upon payment of a non-refundable deposit. This will be set off against the cost of the tour booked with . Subsequent to the above deposit, we will divulge the names of hotels. If you wish, you are certainly free to request amendments to the hotels/itinerary and we will be happy to further curate the entire itinerary and suggest alternative names of hotels, subject to availability – (except on scheduled group tours where the accommodation cannot be changed unless the entire group requests it). Accommodation cannot be held unless an advance is paid on the due date. The wildlife, game viewing and scenery are excellent in all National Parks and Game Reserves inTanzania. At any time of the year the Serengeti, Ngorongoro Crater and Tarangire will always give you amazing wildlife experiences. The Northern Circuit parks may get a bit crowded during the peak season and during school holiday period from July to September. However, the remote raw and wild Southern Parks of Ruaha & Selous are never crowded and have some of the biggest prides of lions. Between the dry season of June to October the predator sightings are excellent. For bird watching the best period is between November to April. In private conservations walking safaris and night drives are possible. Even in the Serengeti can organize some exciting walking safaris. A typical day on safaris can range from full day game drives to morning and afternoon game drives where you will relax during the middle of the day. Most lodges/hotels will have a swimming pool, lounge, library. Please note each lodge may have different times for safaris. Sri Lankan Passport Holders should apply for the Tanzanian Visa through the Tanzanian High Commission based in New Delhi India. Ensure your passport is valid for at least six months from the date of travel and should have two blank pages available. If you intend visiting another East African neighbouring country and back (e.g., Kenya/Uganda/Rwanda) please obtain a multiple entry Visa. For Visa’s to Kenya/Uganda/Rwanda you may obtain an e-visa from the respective country or an East Africa Visa. has connections to the rights camps and lodges in Tanzaniawhich are great for multi generational family holidays but not with toddlers. Different camps and lodges have different child policies and a minimum age on scheduled departures and walking safaris. Please enquire for specific details for your tour. US dollars - dated after 2004 are accepted, but, high denomination notes may not be accepted. Credit Cards are accepted in many places but may incur high charges. It is always advisable to bring some US Dollar currency in small denominations. The most commonly used local languages in Tanzaniais Swahili, but English is widely spoken. Travel insurance will be required before the final payment for your tour as tour operators and camps require your insurance details. Please ensure that the insurance is comprehensive and covers any medical situations such as hospitalisation, emergency air-evacuation as well as cancellation, curtailment of arrangements and loss of baggage. Most urban areas have good medical facilities. If you do not have adequate cover you risk being turned away from the hospital. Currently there are no specific requirements for visitors to have any inoculations prior to their arrival in Tanzania. However, a valid International Certificate of Vaccination against Yellow Fever is required for any person entering Tanzania from, or via, a yellow fever infected area (please check latest WHO- World Health Organization current classification). It is advisable to obtain a Yellow Fever vaccine as sometimes at borders the officials request for the certificate. In Sri Lanka, you can obtain the Yellow Fever vaccine at the MRI. Tanzania is a malaria area and malaria prophylactics are recommended. Please consult your Doctor prior to travel. Lodges provide mosquito nets. To avoid mosquito and insect bites, wear long-sleeved clothing, long trousers and socks when outside at night and use an insect repellent which contains at least 20-30% DEET. Although a medical kit is available at each lodge or safari operator, please bring all personal medications. *Comprehensive travel and medical insurance must be taken by each traveller, prior to the final payment of your tour. No one at is qualified to give medical advice and as such none of the above should be taken as authorised medical advice but are intended to be guidelines and general tips. Please consult your Doctor prior to travel and obtain accurate and upto date independent medical advice. arranges all domestic flights from the main Airport to the national parks and between camps. Fly-in safaris would be the most convenient to visit the Southern Parks of Tanzania such as Selous and Ruaha as it takes long to get from one park to another. On internal aircraft transfers, strict baggage restrictions apply. Weight, size and style of bag is strictly enforced. Each passenger is only allowed a 15Kg soft duffel bag (not in hard top cases or bags with wheels) including hand luggage (includes camera equipment). These restrictions are enforced for the security of guests as the weight balance is important on light aircraft. Pilots on small aircrafts will refuse any luggage which does not fit within the luggage pods of the aircraft. Tap water in East Africa is not safe to drink. and as a general rule bottled mineral water is recommended. Please inform any allergies or dietary restrictions prior to confirming a tour. The electrical voltage is 220 to 240V. Wall sockets require 3 square pin type plugs so it is recommended that you carry international travel adapters to be used in areas/camps where there is electricity. Whilst most hotels and lodges will have permanent electricity, mobile camps and in many remote bush camps and lodges will not have permanent electricity and will use, kerosene lamps, Solar or Generators for lighting (of tents and communal areas) and for refrigeration and are often switched off at night. Small electronic devices/cameras should be charged during the day but it may not be possible to use electric shavers and hairdryers. Fully charged spare batteries should always be carried on safari and have sufficient memory cards for your images and videos – these are difficult to purchase here. In most bush camps and remote lodges cellular phone coverage and internet connections will not be available. Some, will have limited Wi-Fi connection in main lounge areas. For emergencies, all safari operators can connect with their main camp via a radio link or satellite phone connection. * A 24 hour local point of contact will be provided to you for all emergencies. Tipping is entirely at your discretion and will be greatly appreciated by those who provide a good service. Hotel/restaurant - a service charge is added to the bill but if the service has been great, then a tip not exceeding 10% of the bill is customary. For the tipping guideline for Mount Kilimanjaro climbs – Please enquire. Since game drives are conducted early mornings and evenings – it can be quite cold, especially in winter and warms up during the day, so bring layers you can peel off or put on as needed as well as a jacket, gloves, scarf/beanie and hat. For walking safaris and bushwalks - wear a good pair of closed shoes (hiking boots not required) and clothing must be neutral colours (beige, khaki, olive, stone). You must not wear dark or bright colours. Most lodges inside the parks offer complimentary same-day laundry service. So you don’t need to bring too many clothes- please check on arrival. Strict luggage restrictions (of 15kg per person including hand luggage and camera equipment) applies on all small flights. On clothing and equipment for Mount Kilimanjaro climbs – please enquire. Tanzaniaattracts many tourists and is considered a safe country especially on an organized safari, as visitors on safari are shielded from public areas in cities where theft and crime can be more common like anywhere else in the world. The operators that partners with will always have your safety and security in mind throughout your tour. However, for all safari destinations and throughout the tour we offer, we recommend that you do not take any expensive jewelry, watches etc and ensure your bags can be locked. Traveling or driving at night is not recommended. Safaris may bring you up close in contact with wild animals and all instructions of your Guide should be strictly followed. However, you should take responsibility for your own safety. Some lodges or operators will require that you sign an indemnity form on your arrival. * Value for money travel tip – travel in February and October where has secured unbelievable offers. This is when you can beat the peak season rates and crowds. July to October dry season is the best time to visit Maasai Mara for wildlife. In July and August due to summer holidays and school vacations the parks can get crowded. But has a hand-picked collection of unique camps and lodges which are away from the crowds to get you an exclusive experience including walking safaris and night drives. January and February– Though not the ‘migration’ season, it is the calving season in the Kenyan parks giving great photo opportunities at low season rates. March, April and May are the wettest months. Migration Timeline in Maasai Mara – August & September Mara river crossings start October large portions of the herds are in the Mara, November with the short rains the herds start to trek to the Serengeti. Please note that this is only a guideline as weather patterns are changing and so does migration patterns. Before booking the tour, please enquire as to the location of the migration. during the day to a low of 10°C early in the morning between June to October. The wildlife, game viewing and scenery are excellent in all National Parks and Game Reserves inKenya. At any time of the year the Masaai Mara, Samburu and Amboseli will always give you amazing wildlife experiences. The Parks may get a bit crowded during the peak season and during school holiday period from July to September. For bird watching the best period is in the wet season between November to April. In private conservations walking safaris and night drives are possible. Even in the Maasai Mara can organize some exciting walking safaris. Sri Lankan Passport Holders can apply for the Kenyan Visa on line on http://evisa.go.ke/evisa.html or can obtain one on arrival. Ensure your passport is valid for at least six months from the date of travel and should have two blank pages available. If you intend visiting another East African neighbouring country and back (e.g., Tanzania/Uganda/Rwanda) please obtain a multiple entry Visa. For Visa’s to Uganda/Rwanda you may obtain an e-visa from the respective country or an East Africa Visa. Since Visa regulations change without any prior notice, kindly check before you book a tour. has connections to the rights camps and lodges in Kenyawhich are great for multi generational family holidays but not with toddlers. Different camps and lodges have different child policies and a minimum age on scheduled departures and walking safaris. Please enquire for specific details for your tour. US dollars - dated after 2006 are accepted, but, high denomination notes may not be accepted. Credit Cards are accepted in many places. A Debit Card can be used to withdraw money at ATM’s. It is always advisable to bring some US Dollar currency in small denominations. The most commonly used local languages in Kenyais Swahili, but English is widely spoken. A valid International Certificate of Vaccination against Yellow Fever is required for any person entering Kenya from, or via, a yellow fever infected area (please check latest WHO- World Health Organization current classification). In Sri Lanka, you can obtain the Yellow Fever vaccine at the MRI. Kenya is a malaria area and malaria prophylactics are recommended. Please consult your Doctor prior to travel. arranges all domestic flights from the main Airport to the national parks and between camps. Each passenger is only allowed a 15Kgsoft duffel bag (not in hard top cases or bags with wheels) including hand luggage (includes camera equipment). Tap water in East Africa is not safe to drink. andas a general rule bottled mineral water is recommended. Since game drives are conducted early mornings and evenings – it can be quite cold, especially between June and October and warms up during the day, so bring layers you can peel off or put on as needed as well as a jacket, gloves, scarf/beanie and hat. Kenyaattracts many tourists and is considered a safe country especially on an organized safari, as visitors on safari are shielded from public areas in cities where theft and crime can be more common like anywhere else in the world. The operators that partners with will always have your safety and security in mind throughout your tour. However, for all safari destinations and throughout the tour we offer, we recommend that you do not take any expensive jewelry, watches etc and ensure your bags can be locked. * Value for money travel tip – travel in May, June or early November where has secured unbelievable offers and game viewing is great. This is when you can beat the peak season rates and crowds. July to October is the best time to visit Zimbabwe for wildlife as the vast parks dry up, roads leading to water become more accessible for animals and safari goers. Although high season, Zimbabwe parks (except at Victoria Falls) are never crowded. June is a great time for safaris with incredible prices and fantastic game viewing with the bush opening up after the grass is flattened, lovely time for walking safaris as well. – bring winter clothing for the morning game drives but it becomes very pleasant as the day wears on. May is shoulder season where rain has faded away. The bush is spectacular for wildlife and photography opportunities as the bush is still green and the contrasting colors are incredible. You should take advantage of unbelievable offers that are often available at this time. It becomes uncomfortably hot towards October and November – between 30°C to 45°C prior to the rainy season. During the wet season from November to April, most seasonal camps in Mana Pools Zimbabwe close down. loves the rates offered by our Zimbabwe travel partners during this ‘Low Season’. Victoria Falls has it’s own seasons. June, July and August – the falls are easier to view – although not as spectacular, when the water is much less but the mist does not block the view. White water rafting starts in August. September to December – the water will be a mere trickle on the Zambian side and it’s better viewed from Zimbabwe. Great time to swim in the Devils Pool. Absolutely first class guiding. Vast, wild, untamed, uncrowded parks with adventurous walking safaris in big game country, canoeing and jeep drives. Nocturnal wildlife can be seen as afternoon safari drives continue onto the nights at private game reserves. Since permanent electricity is not be available on mobile camping and in many remote bush camps and lodges, guests should always carry fully charged additional batteries on safari and have sufficient memory cards as they are difficult to purchase. A typical day on safaris starts at the crack of dawn as this is the best time to view wildlife. You will then come back for a brunch/lunch and relax during the middle of the day. Most lodges will have a swimming pool, lounge, library. Bush Camps can be more rustic although its certainly not roughing out – think, comfy beds, soft linen, ensuites with hot water and great food. Please note each lodge may have different times for safaris. Sri Lankan Passport Holders should apply for an e-visa prior to travelling to Zimbabwe through the Zimbabwe Immigration Web Site https://www.evisa.gov.zw It is advisable to have the correct amount of US dollars in cash available on entry to Zimbabwe to pay for the Visa. Ensure your passport is valid for at least six months from the date of travel and should have three blank pages available. Multiple entry visas are required if you intend travelling to Zimbabwe’s neighbouring countries and back – e.g., visiting Zambia or Botswana. has connections to the rights camps and lodges in Zimbabwe which are great for multi generational family holidays but not with toddlers. Different camps have different child policies and a minimum age on walking safaris. Please enquire for specific details for your tour. The official currency is the US dollar. However, often one can pay with South African Rand or Botswana Pula. US dollars - dated after 2003 are accepted, but, high denomination notes may not be accepted. Credit Cards are accepted in many places but may incur high charges and there maybe difficulties in processing credit cards at some bush camps. Visa and Mastercard are the easiest card to use in Zimbabwe, and American Express maybe less frequently accepted. It is always advisable to bring some US Dollar currency in small denominations. Although ATM machines are available in towns and cities and distribute only US dollars. At time of writing this, the banks are not loading cash into ATM machines and as such cash is NOT available at ATM’s. Although there are many official languages in Zimbabwe, everybody speaks English well. Most urban areas have good medical facilities but for serious medical treatment you may need to be evacuated to South Africa. If you do not have adequate cover you risk being turned away from the hospital. Currently there are no specific requirements for visitors to have any inoculations prior to their arrival in Zimbabwe. However, a valid International Certificate of Vaccination against Yellow Fever is required for any person entering Zimbabwe from, or via, a yellow fever infected area (please check latest WHO- World Health Organization current classification). In Sri Lanka, you can obtain the Yellow Fever vaccine at the MRI. Zimbabwe is a malaria area and malaria prophylactics are recommended. Please consult your Doctor prior to travel. *Comprehensive travel and medical insurance must be taken by each traveller, prior to the final payment of your tour. For serious medical treatment you may need to be evacuated to South Africa. If you do not have adequate cover you risk being turned away from the hospital. arranges all domestic flights from the main Airport to the national parks and between camps. Fly-in safaris would be the most convenient for remote parks such as Mana Pools, Matusadona, Gonarezhou. Each passenger is only allowed a 20Kg soft duffel bag (not in hard top cases or bags with wheels) inclusive of hand luggage. Large suitcases and rigid, inflexible luggage with “pull along” handle frames and wheels and bags which have soft sides but have a solid or rigid “wheely” frame within the base of the bag are NOT ALLOWED. Luggage dimensions should not exceed 25cm (10 inches) wide, 30cm (12 inches) high and 62cm (24 inches) long as anything bigger will not fit into the aircraft’s baggage compartment. Any person weighing over 120 kg’s will have to pay for an extra seat. It is at the pilot’s discretion to ask you to be weighed before embarking on your flight. As a general rule bottled mineral water is recommended. Drinking water in individual camps will be treated and purified – please speak with camp staff before drinking. Electricity supply is 220V/240v. Wall sockets require 3 round pin or 3 square pin type plugs so it is recommended that you carry international travel adapters to be used in areas/camps where there is electricity. Most lodges inside the parks offer complimentary same-day laundry service. So you don’t need to bring too many clothes - please check on arrival. Zimbabwe attracts many tourists and is considered a safe country especially on an organized safari, as visitors on safari are shielded from public areas in cities where theft and crime can be more common like anywhere else in the world. The operators that partners with will always have your safety and security in mind throughout your tour. However, for all safari destinations and throughout the tour we offer, we recommend that you do not take any expensive jewelry, watches etc and ensure your bags can be locked. * Value for money travel tip – travel in May, until mid-June or early November where Africa by Ayu has secured unbelievable offers and game viewing is great. This is when you can beat the peak season rates and crowds. May to October - the dry winter season is the best time to visit Botswana for wildlife as animals search out water holes and the thinning vegetation makes spotting easier. July, August and September falls into the (Dry) peak season excellent for predator viewing but prices can be steep. A Winter jacket and clothing is essential as early morning and evening temperature can drop below 10°C. November to March - rainy season Makgadikgadi and the Kalahari can offer good safari opportunities and this is the best time for bird watching. Victoria Falls also has it’s own seasons. Names of all hotels, lodges and camps will only be divulged upon payment of a non-refundable deposit of Rs. 10,000. This will be set off against the cost of the tour booked with . Subsequent to the above deposit, we will divulge the names of hotels. If you wish, you are certainly free to request amendments to the hotels/itinerary and we will be happy to further curate the entire itinerary and suggest alternative names of hotels, subject to availability – (except on scheduled group tours where the accommodation cannot be changed unless the entire group requests it). Slow, insightful and exclusivity are the hallmarks of a Botswana Safari. Sightings may not be as frequent as in South or East Africa but when you do see that spectacular game, most often it’s just your safari jeep that’s around. Nocturnal wildlife can be seen as afternoon safari drives continue onto the nights at private game reserves. Since permanent electricity is not be available on mobile camping and in many remote bush camps and lodges, guests should always carry fully charged additional batteries on safari and have sufficient memory cards as they are difficult to purchase here. A typical day on safaris starts at the crack of dawn as this is the best time to view wildlife. You will then come back for a late breakfast and relax during the middle of the day. Most lodges will have a swimming pool, lounge, library - some may have a gym. Please note each lodge may have different times for safaris. Sri Lankan Passport Holders must apply for a visa through the Botswana High Commission in India http://www.botswanahighcom.in/ More details on the Botswana Visa process can be obtained from the Botswana Consulate in Sri Lanka. Ensure your passport is valid for at least six months from the date of travel and should have two blank pages available. Multiple entry visas are required if you intend travelling to Botswana’s neighbouring countries and back – e.g., visiting the Victoria Falls in Zimbabwe or Zambia, from Chobe. US dollars - dated after 2003 are widely accepted, but, high denomination notes may not be accepted. Credit Cards (except American Express) are widely accepted but carry proof of identity with you. ATMs distribute local currency. Banking hours - Monday to Friday from 08h30 to 15h30 and on Saturday from 08h30 to 11h00. Travel insurance will be required before the final payment for your tour as tour operators and camps require your insurance details. Please ensure that the insurance is comprehensive and covers any medical situations such as hospitalisation, emergency evacuation as well as cancellation, curtailment of arrangements and loss of baggage. A valid International Certificate of Vaccination against Yellow Fever is required for any person entering Botswana from, or via, a yellow fever infected area (please check latest WHO- World Health Organization current classification). In Sri Lanka, you can obtain the Yellow Fever vaccine at the MRI. Botswana is a malaria area and malaria prophylactics are highly recommended. Please consult your Doctor prior to travel. HIV/Aids is common in Botswana so standard precautions should be followed. *Comprehensive travel and medical insurance must be taken by each traveller, prior to the final payment of your tour. Most urban areas have good medical facilities but for serious medical treatment you may need to be evacuated to South Africa. If you do not have adequate cover you risk being turned away from the hospital. None of the above should be taken as authorised medical advice but is intended to be guidelines and general tips. Please consult your Doctor prior to travel and obtain accurate and upto date independent medical advice. Flights between camps are booked on a seat rate basis and may require at least 2 stops before reaching your destination. These are not private flights. Times for flights are scheduled 24hrs in advance and weather conditions may affect the time of departure so we request that you be flexible and be ready 30 minutes prior to departure times. On scenic flights and light aircraft transfers, strict baggage restrictions apply. Weight, size and style of bag is strictly enforced. Each passenger is only allowed a 20Kg soft (duffel) bag (includes hand luggage and camera equipment). You can book an extra seat for excess luggage. Pilots will refuse any luggage which does not fit within the luggage pods of the aircraft. Tap water in Botswana is purified and is safe to drink at hotels, lodges and other public places. However, as a general rule bottled mineral water is recommended. Permanent electricity is not available on mobile camping and in many remote bush camps and lodges. Generators are used for lighting (of tents and communal areas) and for refrigeration and are often switched off at night. Small electronic devices/cameras should be charged during the day but it may not be possible to use electric shavers and hairdryers. 220V/50HZ South Africa Plug types are in use. Wall sockets require 3 round pin or 3 square pin type plugs so it is recommended that you carry international travel adapters to be used in areas/camps where there is electricity. There is good mobile phone coverage and connectivity in urban areas and in the accommodation in Maun and Kasane. For emergencies, all safari operators can connect with their head office based in the urban areas/towns via a radio link or satellite phone connection. Botswana is a low crime, safe destination that is politically stable. The operators that partner with are responsible and will always have your safety and security in mind throughout your tour. However, for all safari destinations we offer, we recommend that you do not take any expensive jewelry, watches etc and ensure your bags can be locked. January, February and June to September are the best times to go for Mountain Gorilla Trekking.Although Rwanda can be visited all year round it is easier to trek for Mountain Gorillas during the dry months. March to May and October to December are the two rainy seasons where it will be difficult to trek. August to September – is the hottest time. But the nights can get cold. The highlight of the tour will be the time spent with Mountain Gorillas. But even the Golden Monkey tracking experience will be unique and exciting. You will be called for an early morning meeting at the national parks administration office before starting the trek. As more than 8 visitors in a group would disturb the gorillas the guests will be divided into groups. The gorilla trackers will go in search of gorilla families early morning and inform their location. Tracking can take between 6 and 8 hours. The terrain can be steep with a difference of altitude of about 500m. Always follow the instructions of the Rangers/Trackers. You can stay with the gorillas and observe their behavior for a maximum of 1 hour. Please make sure that you are free of a cold/flu or any other communicable disease. The guides on your tour of Rwanda are highly knowledgeable and will make your tour exciting and enjoyable. Rwanda is an uncrowded tourist destination. It is advisable to have the correct amount of US dollars in cash available on entry to Rwanda to pay for the Visa. If you are hoping to visit neighbouring Uganda and/or Kenya you can obtain an East Africa Tourist Visa which gives you access to all three countries. Ensure your passport is valid for at least six months from the date of travel and should have three blank pagesavailable. has connections to the rights camps and lodges in Rwanda which are great for multi generational family holidays but not with toddlers. For Gorilla trekking the minimum age is 15 years while the minimum age for Chimp tracking is 12 years. Please enquire for specific details for your tour. US dollars - dated after 2006 are accepted. A better exchange rate is given for larger bills. Economy is largely cash based. Credit Cards are accepted only in major hotels. It is always advisable to bring some US Dollar currency in small denominations when travelling outside big cities. Kinyarwanda is the national language. Along with Kinyarwanda, English, French and Swahili are the official languages. Although there is no mandatory requirement it is advisable to take the Yellow Fever Vaccine before entering Rwanda. In Sri Lanka, you can obtain the Yellow Fever vaccine at the MRI. Malaria prophylactics are recommended. Please consult your Doctor prior to travel. *Comprehensive travel and medical insurance must be taken by each traveller, prior to the final payment of your tour. Medical care in Rwanda cannot be compared with the West. It can be hygienically problematic. For serious medical treatment you may need to be evacuated to another country. If you do not have adequate cover you risk being turned away from the hospital. As a general rule bottled mineral water is recommended. Voltage in Rwandais 230V. Wall sockets require a standard Euro plug. So it is recommended that you carry international travel adapters to be used in areas/camps where there is electricity. In most areas cellular phone coverage and internet connections will be available. Some, will have limited Wi-Fi connection in main lounge areas. To wear on safari: Comfortable and casual clothing, that you can wash and wear in muted colours - khaki, green, beige. It can be quite cold, in the evenings and warms up during the day, so bring layers you can peel off or put on as needed as well as a jacket and hat. For walking - wear a good pair of closed shoes (hiking boots not required) and clothing must be neutral colours (beige, khaki, olive, stone). You must not wear dark or bright colours. For Gorilla Trekking hiking boots is required. Rwanda attracts many tourists and is considered a safe country especially on an organized tour, as visitors on organized tours are shielded from public areas in cities where theft and crime can be more common like anywhere else in the world. The operators that partners with will always have your safety and security in mind throughout your tour. However, throughout the tour we offer, we recommend that you do not take any expensive jewelry, watches etc and ensure your bags can be locked. * Value for money travel tip – travel between May to September to take advantage of low season rates. If you love wildlife this is the best time of year for game viewing with the bush opening up and the grass thinning out. loves the rates offered by our South African travel partners during this period. South Africa is an all year destination and a complete destinationwhich caters to any and every interest. From wildlife to food, music, culture, sports, adventure and breathtaking scenery, South Africa has got it all. May to September –is the best time for wildlife with the bush opening up after the grass is flattened, lovely time for walking safaris as well. Although it rains in Cape Town, the bush will be dry. Since it’s the Winter season, during this period the weather on average can be between 1C in the nights to 18C during the day. December to March – Summer season. Sunny and dry in Cape Town. Since South Africa runs on the Cape Town seasons, prices are high during this period. However, this is the rainy season for the game parks in the Kruger area. Victoria Fallsalso has it’s own seasons. September to December– the water will be a mere trickle on the Zambian side and it’s better viewed from Zimbabwe. Great time to swim in the Devils Pool. The wildlife and game viewing are excellent in all National Parks and Private Game Reserves. The public areas of Kruger Park may get a bit crowded during the peak season and during South African school holidays. If you choose to visit a Private Game Reserve the game drives and walks will be in exclusive areas where the public will not be permitted. The guiding during safari activities and the service levels at lodges and camps in Private Game Reserves will be of a very high standard and nocturnal wildlife can be seen as afternoon safari drives continue into the night. In low carbon footprint camps permanent electricity is not be available, guests should always carry fully charged additional batteries on safari and have sufficient memory cards as they are difficult to purchase. These Camps though rustic it’s certainly not roughing out – think, comfy beds, soft linen, ensuite eco-loos and great food. A typical day on safaris starts at the crack of dawn as this is the best time to view wildlife. You will then come back for a brunch/lunch and relax during the middle of the day. Most lodges/hotels will have a swimming pool, lounge, library. Please note each lodge may have different times for safaris. Ensure your passport is valid for at least 30 days after the expiry of the intended visit and should have two unused pages (facing each other) available. Multiple entry visas are required if you intend travelling to South Africa’s neighbouring countries and back – e.g., visiting the Victoria Falls in Zambia/Zimbabwe or Namibia/Botswana/Lesotho/Swaziland. has connections to the right hotels, villas, camps and lodges in South Africa which are great for multi generational family holidays. Different lodges and camps especially in wilderness areas have different child policies and a minimum age on walking safaris. Please enquire for specific details for your tour. To enter South Africa or if you are traveling via Botswana - You are required by law to travel with your children’s “Unabridged” Birth Certificate to enter South Africa and/or Botswana. If you are traveling without one parent, you will also require an affidavit from the absent parent giving permission for the child to enter the country. This must be dated no more than 3 months before the travel date. South Africa has 11 official languages. English is widely spoken. Most urban areas have good medical facilities and if you do not have adequate cover you risk being turned away from the hospital. Currently there are no specific requirements for visitors to have any inoculations prior to their arrival in South Africa. However, a valid International Certificate of Vaccination against Yellow Fever is required for any person entering South Africa from, or via, a yellow fever infected area (please check latest WHO- World Health Organization current classification). In Sri Lanka, you can obtain the Yellow Fever vaccine at the MRI. Most parts of South Africa are malaria areas and malaria prophylactics are recommended. Please consult your Doctor prior to travel. Lodges in wilderness areas generally provide mosquito nets. To avoid mosquito and insect bites, wear long-sleeved clothing, long trousers and socks when outside at night and use an insect repellent which contains at least 20-30% DEET. Although a medical kit is available at each lodge or safari operator, please bring all personal medications. *Comprehensive travel and medical insurance must be taken by each traveller, prior to the final payment of your tour. If you do not have adequate cover you risk being turned away from the hospital. arranges all domestic flights from the main Airport to major cities, the national parks and between camps. Each passenger is only allowed a 23Kg soft duffel bag (not in hard top cases or bags with wheels) as checked in luggage and 5Kg as hand luggage (includes camera equipment). For bookings more than 60 days prior to travel the air-fare may be cheaper but the baggage restriction is 15Kg check-in luggage and 5Kg carry-on. Tap water in urban areas in South Africa is purified and is safe to drink at hotels, lodges and other public places. However, as a general rule on Safari bottled mineral water is recommended unless the lodge or camp has purified it. Please check with the Manager of the Lodge/Camp. In South Africa standards of hygiene is generally high with regard to food and health. Electricity is 220/240 volts. Wall sockets require 3 round pin type plugs so it is recommended that you carry international travel adapters. These adapters are available at major airports. Permanent electricity is not available on low carbon footprint safaris. Solar or Generators may be used for lighting (of tents and communal areas) and are often switched off at night. Small electronic devices/cameras should be charged during the day but it may not be possible to use electric shavers and hairdryers. Except in remote safari lodges and camps cellular phone coverage and internet connections will be available. However, some remote places of accommodation will have limited Wi-Fi connection in main lounge areas. During summer – clothes that are cool, light and comfortable. South Africa attracts many tourists. In public areas in the cities theft and crime can be more common like anywhere else in the world. But visitors on organized wildlife safaris are shielded from public areas. The operators that partners with will always have your safety and security in mind throughout your tour. However, for all safari destinations and throughout the tour we offer, we recommend that you do not take any expensive jewelry, watches etc and ensure your bags can be locked. July to October is the best time to visit Zambia for wildlife as the vast parks dry up, roads leading to water become more accessible for animals and safari goers. Although high season, Zambian parks (except at Victoria Falls) are never crowded. June, July and August is winter when it get pretty cold in the parks with early morning temperatures near 100C – bring winter clothing for the morning game drives but it becomes very pleasant as the day wears on. May is shoulder season where rain has faded away. Still spectacular for wildlife and you should take advantage of unbelievable offer. August-September is the best time to photograph the migratory colonies of Carmine Bee-eaters in South Luangwa. It becomes hotter towards September – around 290C and uncomfortably hot In October. During the wet season from November to April, some camps in Zambia close down. loves the rates offered by our Zambia travel partners during this ‘Green Season’ in South Luangwa National Park, when a few camps remain open to explore the flooded valley on boat safaris. The morning temperatures comfortable at around 180C and big game viewing is still exciting – many newborn animals with their mums. Boats can access those areas that are inaccessible at other times of the year. Brilliant guiding – unmatched on the African continent and vast, wild, untamed, uncrowded parks with adventurous walking safaris in big game country, canoeing and jeep drives are the hallmarks of a Zambia Safari. Nocturnal wildlife can be seen as afternoon safari drives continue onto the nights at private game reserves. Sri Lankan Passport Holders should apply for an e-visa prior to travelling to Zambia through the Zambia Immigration Web Site www.zambiaimmigration.gov.zm It is advisable to have the correct amount of US dollars in cash available on entry to Zambia to pay for the Visa. Ensure your passport is valid for at least six months from the date of travel and should have three blank pages available. Multiple entry visas are required if you intend travelling to Zambia’s neighbouring countries and back – e.g., visiting the Victoria Falls in Zimbabwe or a safari to see the massive elephant herds in Chobe, Botswana. has connections to the rights camps and lodges in Zambia which are great for multi generational family holidays but not with toddlers. Different camps have different child policies and a minimum age on walking safaris. Please enquire for specific details for your tour. Credit Cards are accepted in many places but may incur high charges and there maybe difficulties in processing credit cards at some bush camps. Visa is the easiest card to use in Zambia, Mastercard and American Express maybe less frequently accepted. It is always advisable to bring some US Dollar currency in small denominations. The most commonly used local languages in Zambia are Nyanja and Bemba among countless other tribal languages, but English is the official language. Currently there are no specific requirements for visitors to have any inoculations prior to their arrival in Zambia. However, a valid International Certificate of Vaccination against Yellow Fever is required for any person entering Zambia from, or via, a yellow fever infected area (please check latest WHO- World Health Organization current classification). In Sri Lanka, you can obtain the Yellow Fever vaccine at the MRI. Zambia is a malaria area and malaria prophylactics are recommended. Please consult your Doctor prior to travel. arranges all domestic flights from the main Airport to the national parks and between camps. Fly-in safaris would be the most convenient as Zambian roads are not well maintained and it takes long to get from one park to another. Tap water in Zambia is purified and is safe to drink at hotels, lodges and other public places. However, as a general rule bottled mineral water is recommended. Permanent electricity is not available on mobile walking safaris and in many remote bush camps and lodges. Solar or Generators are used for lighting (of tents and communal areas) and for refrigeration and are often switched off at night. Small electronic devices/cameras should be charged during the day but it may not be possible to use electric shavers and hairdryers. Zambiaattracts many tourists and is considered a safe country especially on an organized safari, as visitors on safari are shielded from public areas in cities where theft and crime can be more common like anywhere else in the world. The operators that partners with will always have your safety and security in mind throughout your tour. However, for all safari destinations and throughout the tour we offer, we recommend that you do not take any expensive jewelry, watches etc and ensure your bags can be locked. Value for money travel tip – travel in May, June or early November where has secured unbelievable offers and game viewing is great. This is when you can beat the peak season rates and crowds. December to February and June to August (the two dry seasons) are the best times to go for Mountain Gorilla Trekking. Although Uganda can be visited all year round it is easier to trek for Mountain Gorillas during the dry months. June to mid-September is the best time for bird watching. Uganda has over 1000 bird species. April-May and October-November are the two rainy seasons where it will be difficult to trek and some roads may become impassable. The highlight of the tour will be the time spent with Mountain Gorillas. But Uganda is also a Big Five destination where excellent game viewing is possible without many tourists, including seeing the famous tree climbing lions of Queen Elizabeth NP. Uganda is also a bird watchers paradise with over 1000 species and many endemics. The guides on your tour of Uganda are highly knowledgeable and will make your tour exciting and enjoyable. Uganda is an uncrowded tourist destination. Sri Lankan Passport Holders should apply online for the visa prior to travelling to Uganda through the Uganda Immigration Web Site https://visas.immigration.go.ug It is advisable to have the correct amount of US dollars in cash available on entry to Uganda to pay for the Visa. If you are hoping to visit neighbouring Rwanda and/or Kenya you can obtain an East Africa Tourist Visa which gives you access to all three countries. Ensure your passport is valid for at least six months from the date of travel and should have three blank pages available. has connections to the rights camps and lodges in Uganda which are great for multi generational family holidays but not with toddlers. For Gorilla trekking the minimum age is 15 years while the minimum age for Chimp tracking is 12 years. Please enquire for specific details for your tour. Credit Cards are accepted only in major hotels and only a few Banks will permit the use of ATM Cards or Visa credit cards for cash withdrawal. There maybe difficulties in processing credit cards at some remote areas. Visa debit card is the easiest card to use in Uganda, Mastercard and American Express maybe less frequently accepted. It is always advisable to bring some US Dollar currency in small denominations when travelling outside big cities. English is the official language. The most commonly used local language in Luganda. Uganda is identified by the WHO as a yellow fever infected zone. A valid International Certificate of Vaccination against Yellow Fever is required for any person entering Uganda. In Sri Lanka, you can obtain the Yellow Fever vaccine at the MRI. Uganda is a malaria area and malaria prophylactics are recommended. Please consult your Doctor prior to travel. *Comprehensive travel and medical insurance must be taken by each traveller, prior to the final payment of your tour. Medical care in Uganda cannot be compared with the West. It can be hygienically problematic. For serious medical treatment you may need to be evacuated to another country. If you do not have adequate cover you risk being turned away from the hospital. arranges all domestic flights from the main Airport to the remote areas. Each passenger is only allowed a 23Kg soft duffel bag (not in hard top cases or bags with wheels) as checked in luggage and 5Kg as hand luggage (includes camera equipment). Voltage in Uganda is 240V. Wall sockets require 3 round pin or 3 square pin type plugs so it is recommended that you carry international travel adapters to be used in areas/camps where there is electricity. To wear on safari: Comfortable and casual clothing, that you can wash and wear in muted colours - khaki, green, beige. Uganda is in the tropics. It can be hot and humid. Since game drives are conducted early mornings and evenings – it can be quite cold, especially in winter and warms up during the day, so bring layers you can peel off or put on as needed as well as a jacket and hat. Uganda attracts many tourists and is considered a safe country especially on an organized tour, as visitors on organized tours are shielded from public areas in cities where theft and crime can be more common like anywhere else in the world. The operators that partners with will always have your safety and security in mind throughout your tour. However, throughout the tour we offer, we recommend that you do not take any expensive jewelry, watches etc and ensure your bags can be locked. * Value for money travel tip – travel in May to avoid the crowds. Self-driving in Namibia is fun and the most cost effective way to see Namibia. Although Namibia is an all year destination May to October are the best months to explore this diverse African destination - including for wildlife. November to April– can be quite warm and uncomfortable. Namibia is a land of contrast and dramatic beauty. The landscape is simply brilliant. The drives between each destination can be long and sometimes on unpaved, dusty roads which have to be driven on 4x4s. A holiday in Namibia can be catered to meet all interests and tastes. It can be an active holiday which ranges from dune climbs to rhino tracking or a slow travel itinerary. The wildlife and game viewing are excellent in Etosha National Park. Sri Lankan Passport Holders should apply for a visa prior to travelling to Namibia through the closest Namibian High Commission. Please contact the Namibian Consulate in Colombo. Ensure your passport is valid for at least 6 months and should have two unused pages (facing each other) available. Multiple entry visas are required if you intend travelling to Namibia’s neighbouring countries and back. has connections to the right hotels, villas, camps and lodges in Namibiawhich are great for multi generational family holidays. Different lodges and camps especially in wilderness areas have different child policies and a minimum age on walking safaris. Please enquire for specific details for your tour. There are several languages including English, German, Afrikaans and Oshiwambo. It is compulsory for all guests to have comprehensive cancellation-, default-, baggage-, emergency evacuation- and medical insurance for the duration of the trip. Currently there are no specific requirements for visitors to have any inoculations prior to their arrival in Namibia.However,it is advisable to have a valid International Certificate of Vaccination against Yellow Fever for any person enteringNamibia from, or via, a yellow fever infected area(please check latest WHO- World Health Organization current classification). In Sri Lanka, you can obtain the Yellow Fever vaccine at the MRI. *Comprehensive travel and medical insurance must be taken by each traveller, prior to the final payment of your tour. If you do not have adequate cover you risk being turned away from thehospital. Each passenger is only allowed a 15Kg soft duffel bag (not in hard top cases or bags with wheels) as checked in luggage and 5Kg as hand luggage (includes camera equipment). Asa general rule bottled mineral water is recommended unless the lodge or camp has purified it. Please check with the Manager of the Lodge/Camp. Electricity is 220v/50HZ. Wall sockets require 3 round pin type plugs so it is recommended that you carry international travel adapters. These adapters are available at major airports. Namibia attracts many tourists. In public areas in the cities theft and crime can be more common like anywhere else in the world. But visitors on organized wildlife safaris are shielded from public areas. The operators that partners with will always have your safety and security in mind throughout your tour. However, for all safari destinations and throughout the tour we offer, we recommend that you do not take any expensive jewelry, watches etc and ensure your bags can be locked. September to April is the best times to travel to Ethiopia. August to October and December/January is the best time to visit the Omo Valley. has only partnered with accredited and licensed operators by the relevant licensing authorities in each African country. Each hotel, lodge or camp included into an itinerary will be selected for the value for money offering it brings to each itinerary, after discussions with our partners in each African destination and careful consideration of all available options for your travel dates. Although Addis Ababa has hotels to match any standard, accommodation options outside the capital can be limited. Our partners have chosen the best available accommodation option outside Addis. has connections to the rights lodges in Ethiopiawhich are great for multi generational family holidays but not with toddlers. Please enquire for specific details for your tour. Credit Cards are accepted only in major hotels, lodges and shops in Addis. Banks in Addis will permit the use of ATM Cards or Visa credit cards for cash withdrawal. There maybe difficulties in processing credit cards at some remote areas. Avalid International Certificate of Vaccination against Yellow Fever is required for any person enteringEthiopia. In Sri Lanka, you can obtain the Yellow Fever vaccine at the MRI. Ethiopia is a malaria area and malaria prophylactics are recommended. Please consult your Doctor prior to travel. Each passenger is only allowed a 20Kgsoft duffel bag (not in hard top cases or bags with wheels). Voltage in Ethiopiais 220V. Wall sockets require 3 round pin or 2 round pin type plugsso it is recommended that you carry international travel adapters to be used in areas/camps where there is electricity. Fully charged spare batteries and a Torch should always be carried. Light clothes for the day time and a jacket or sweater for the evenings in the low-lands. In the highlands it can get a bit cold. For walking - wear a good pair of closed shoes (hiking boots not required). Ethiopians are quite conservative in their dress. Ethiopiaattracts many tourists and is considered a safe country especially on an organized tour, as visitors on organized tours are shielded from public areas in cities where theft and crime can be more common like anywhere else in the world. The operators that partners with will always have your safety and security in mind throughout your tour. However, throughout the tour we offer, we recommend that you do not take any expensive jewelry, watches etc and ensure your bags can be locked. April to October– is the dry season and the best time to visit. September to December–is the best time for wildlife. November to March – wet season. Madagascar is a biodiversity hotspot and an island of contrasts. You will see diverse cultures, landscape, fauna, flora and animals. Not everything about Madagascar can be planned to a minute. Therefore, you need to be patient and enjoy the journey!! Sri Lankan Passport Holders can obtain Visa on arrival. The Passport must be valid for 6 months after your date of departure. has connections to the right hotels and lodges in Madagascarwhich are great for multi generational family holidays. Different lodges and camps especially in wilderness areas have different child policies and a minimum age on walking safaris. Please enquire for specific details for your tour. If you are traveling via South Africa or Botswana - You are required by law to travel with your children’s “Unabridged” Birth Certificate to enter South Africa and/or Botswana. If you are traveling without one parent, you will also require an affidavit from the absent parent giving permission for the child to enter the country. This must be dated no more than 3 months before the travel date. Official languages are Malagasy and French. Currently there are no specific requirements for visitors to have any inoculations prior to their arrival in Madagascar.However,a valid International Certificate of Vaccination against Yellow Fever is required for any person enteringMadagascar from, or via, a yellow fever infected area(please check latest WHO- World Health Organization current classification). In Sri Lanka, you can obtain the Yellow Fever vaccine at the MRI. Most parts of Madagascarare malaria areas and malaria prophylactics are recommended. Please consult your Doctor prior to travel. Each passenger is only allowed a 20Kg soft duffel bag (not in hard top cases or bags with wheels) as checked in luggage and 5Kg as hand luggage (includes camera equipment). As a general rule bottled mineral water is recommended unless the Hotel, lodge or camp has purified it. Please check with the Manager of the Hotel/Lodge/Camp. Electricity is 220V. Wall sockets require 2 round pin type plugs so it is recommended that you carry international travel adapters. These adapters are available at major airports. Mobile coverage is excellent in Madagascar. Madagascar attracts many tourists. In public areas in the cities theft and crime can be more common like anywhere else in the world. But visitors on organized tours are shielded from public areas. The operators that partners with will always have your safety and security in mind throughout your tour. However, throughout the tour we offer, we recommend that you do not take any expensive jewelry, watches etc and ensure your bags can be locked.